Newspaper advertising offers exposure and leads, and although it can be expensive to post ads in regional and national papers, you can get the most return on investment by making careful decisions about where you post your ad. Even better, if you want to share your product, new business, or service in local newspapers, you can precisely reach your target audience and save money. 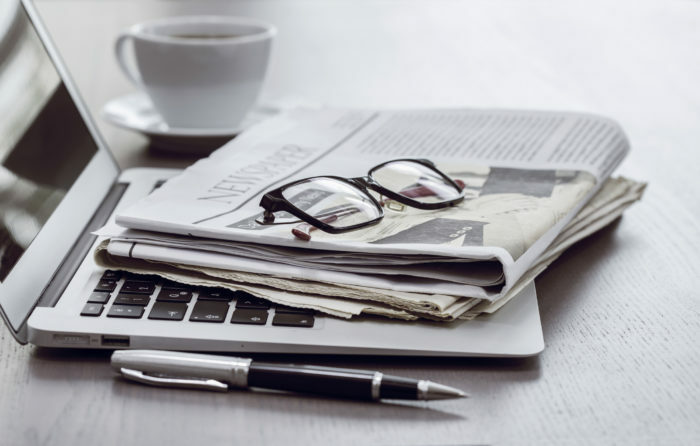 However you choose to advertise, there are certain tips for newspaper advertising you should know about. Choosing the right ad dimensions can help you find the balance between getting the most exposure for your ad without breaking your budget. A full-page ad covers the entire page of a newspaper and its only content is within the ad itself. These ads are 33 cm wide, and 52 cm long. The dimensions are based on the newspaper size, excluding a margin of 1-2 cm on the edges. A half-page ad is self-explanatory; it takes up half of a newspaper page. However, there are two types of half-page advertisements with their own dimensions. The two types include vertical half-page (16 cm side and 52 cm long), and horizontal half-page (33 cm wide and 25 cm long). Half-page ads are more common within the business and retail categories. A quarter-page ad takes up a complete corner of a newspaper page and is also considered a postcard size ad. Out of all the display advertisement options, this is the most common form. It is a cost-effective option yet can be quite effective depending on strategic placement. The standard size for these ads is 16 cm x 25 cm. What Are the Most Frequently Preferred Newspaper Ad Sizes? How Are Newspaper Ads Measured? Newspaper ads are measured using column inches. A single column inch is a unit of space that measures one column wide by one inch high. In most cases, newspaper pages are laid out on a grid which has a margin on four sides, vertical columns, and space between each column. The column pages can have four, five, six, or eight. How Much Does It Cost to Run an Ad in the Newspaper? You can find out how much it will cost to post your ad in a newspaper by calling and speaking to the paper’s advertising department. Most papers charge by ad size and offer a variety of sizes for you to choose from. You can ask about the cost for each space and bargain within your budget. However, going directly to the newspaper may not be your best option. It might be in your best interest to connect with a print media marketing agency, who can seek out options within your budget and get you the most exposure possible. Can I Get Newspaper Ads at Discounted Rates? A great way to save on advertising costs in newspapers is to choose leftover ad space. Also known as remnant advertising, this option works by requesting and buying unsold ad space close to the publishing date. By doing this, you can benefit from savings as much as 40% to 70%. Buying remnant space is also a good idea if you want to test a new ad or advertise off-season. Add incentives for your readers to visit your location by offering a limited time offer or discount coupon in your ad. Ensure that you use a limited time offer date to encourage readers to respond to your call to action quickly. Add your social media usernames and your web site address to your ad to drive readers online to learn more about your business. Be sure that all the information you post on your ad is accurate. Check your phone number, your web site address, any percentages off, brand names, and every other detail. With over 30 years of experience, Macromark has grown to become one of the leaders of the direct mail industry. We help our clients target consumers with precision through our comprehensive list offerings, and work with clients to choose the right dimensions and ad spaces. We can help you stand out from your competitors and engage readers, both of which are essential to growing your customer base and enticing them to visit your store or web site. If you are looking for a company to help lead your next direct mail marketing campaign, we’re the team you need. Our services also include print media, direct mail marketing, list brokerage, data solutions, list fulfillment, and list management. For more information about how we can help grow your business, contact us at 1-(845)-230-6300.